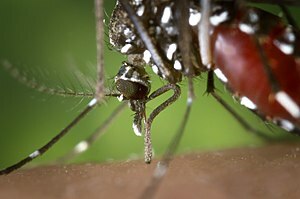 Not only do Texas residents fight heat this year, but along with the heat come mosquitoes; and not only mosquitoes, but “killer” mosquitoes which carry the West Nile Virus. Summer in Texas is full of things to do; like swimming, boating, fishing and other water activities where there is no surprise that with summer come mosquitoes. However, people are being warned this year to head indoors before dusk. Why? Because this year’s mosquito bites can be deadly. According to Center for Disease Control there have been 392 Neuroinvasive disease cases reported this year; as well as, 341 non-neuroinvasive reports of the deadly virus which rounds up to more than 730 cases so far, and 30 people have died as a result. CDC is warning everyone to stay indoors between the hours of dusk and dawn, and protect themselves. Children, and adults 50 and over; as well as those whose immune systems have been weaken by HIV/AIDS, Cancer, and various organ transplants. Wear insect repellent. Repellents that include one of these ingredients are best: DEET, lemon eucalyptus, or picaridin. When possible, wear socks, long sleeves, and long pants when outside. If you see a dead bird, don’t touch it — it could be infected. Wear gloves and mask to be safe. Empty any standing water that may be a breeding ground for mosquito larvae. This entry was posted in Education, Environment, Local and tagged community, Dallas County, environment, epedimic, family, Fort Worth, health, state, Tarrant County, Texas, west nile. Bookmark the permalink.